The University of Sarajevo is the lead university in Bosnia and Herzegovina and one of the leading universities in the region. 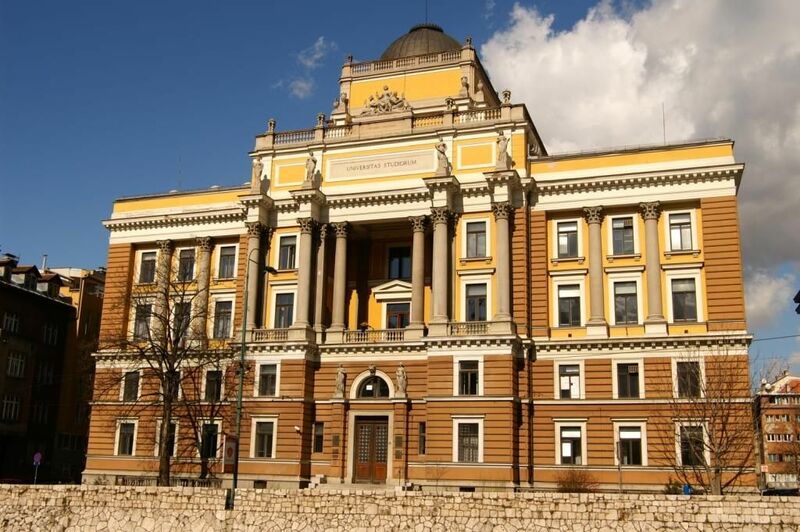 This is first University in Bosnia and Herzegovina, originally established in 1543 by Osmanli, with the modern university being re-established in 1943. Since its founding, the University of Sarajevo is oriented towards international cooperation, building bridges between cultures, and establishing formal partnerships with universities from all over the world. The University of Sarajevo is open to anyone who wishes to contribute, with intellectual and moral qualities, to develop­ment of education and science, within the principles of the University autonomy which is the main condition for academic freedom of individual expression and affirmation of skills and qualities. The orientation of the University of Sarajevo, which we wish to be recognized for, is the integration into the world academic processes and continuous efforts towards the improvement of our international reputation. The University of Sarajevo is not a traditional campus university, and if you are used to a campus environment, you may find it very different to study here. The Faculties and Academies are scattered across the capital. This public institution offers study and research opportunities in 23 faculties and academies and 3 associate members, as well as associate institutions. The University of Sarajevo is a partner in many academic programmes which allow students and staff members to be a part of mobility processes and spend certain period at the international partner universities, and to be also a host university to students and staff members from international universities.